First impressions can be difficult and once that impression is moulded, it’s hard to change. This initial interaction will subconsciously have a major role in determining future feelings and actions. Research shows that up to 95% of the decision-making process is done subconsciously. For a company, your first impression is your branding. Everything from your logo to your word choice will cultivate your company’s image. In our ever-changing and fast-paced digital marketing world, your branding can have a direct and massive impact on your company’s success. Customers now can dictate when they interact with you and you want to ensure you are putting your best foot forward, on every platform. So how do you make yourself stand out? Old school vs new school is probably one of the hottest debate topics right now, especially in our ever modernizing society. Customers now expect brands to offer an experience with a focus on customer satisfaction. Customer loyalty is extremely important, especially with the added pressure that digital interaction has created between brand and customer. The traditional or old school method of branding focused on the “before” the transaction. They are more worried about creating a demand to buy the product by focusing on their promotions, what they say to customers and analyzing what people think about their brand. 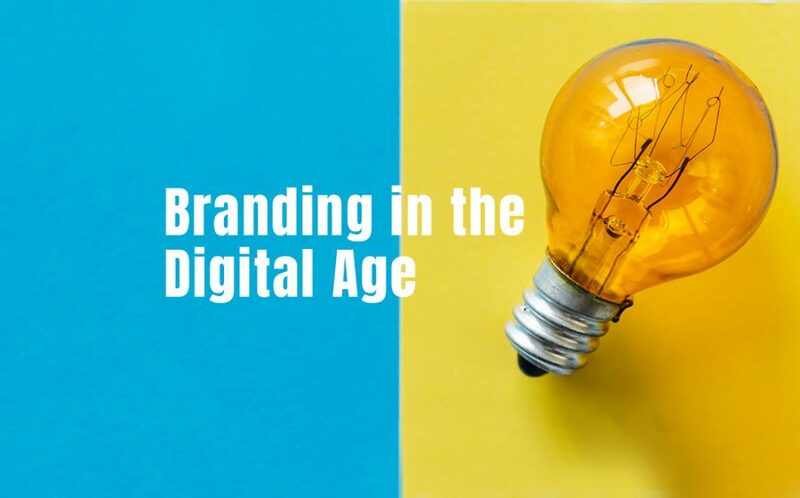 Now, the modern or digital branding hones in on the “after” of the transaction. These brands are aiming to create a demand to use the product by emphasizing user advocacy of their products because of their experience. Focusing more on the customer experience with your brand creates more loyal customers. In today’s digital age, loyal customers are much more likely to positively advocate for the brand. This is so important because customer reviews now play an extremely vital role in the purchasing process. However, if you are stuck in the old school way of branding you need to fundamentally change your thinking. Customer service and experience now need to be at the forefront of your development and planning of your digital material. Before you can start your branding campaign, you need to first know who you are. What does your company stand for? What is it against? Your initial branding will start from within by truly living what you preach. Be transparent and confident about your values because they will touch almost every portion of your branding and guide your decision making. You want to choose your values wisely and be extremely confident in then. Your customers now can see your values at the click of a button and you want to make sure are confident in who you are. What are they trying to achieve with your product or service? What culture cues and messages are they familiar with? These questions will help to ensure that you are targeting the correct audience. It will also help highlight your companies values by potentially showing what kind of customers you are trying to attract. Once you know your company and your audience, you need to give your branding a personality. Having a strong and defined personality will show exactly what your customers can expect. This will help customers identify with your product, a consistent personality increases brand loyalty and it ensures that your company image is in line with your target audience. When crafting your company personality, constantly reference your values to make sure you are not compromising your company’s integrity to please your customers. Your personality will show across all of your digital material, but will mainly blossom on social media. This is because social media allows for more of a behind the scenes and interactive look into your brand. Customers can see real-time content and leave live comments that will either increase or decrease your online cultural currency. This is where you will establish a rapport with your customers and increase your company’s transparency. You will never be able to please everyone, but your personality should appeal to a majority of your audience while also being a strong representation of your brand values. Storytelling has long been how humans learn, relate to others and understand the world. Stories aid in activating the part of our brain that ultimately controls action by connecting humans through common values and universal experiences. The digital age has allowed for great flexibility in storytelling. You are now able to formulate a story visually or in writing and receive instant feedback and gratification. You can create a truly immersive story that can be displayed across multiple platforms. Use this to your advantage as another way to connect with your customers and build a more trusting relationship. When creating your visuals for your branding story, you want to focus on consistency. There are so many platforms and different ways to interact with your customers. You don’t want to make everything the same, but be sure that your material has a logical consistency to it. This is the only way you will truly be able to create a visual identity that people associate with your company. In the end, the overarching goal of your branding should be to create an authentic and lasting bond. To truly achieve this, you will need to have a 360-degree approach to ensure that you are reaching your entire audience. Do not take even the finest detail for granted, as it could have an impact on your branding effectiveness. Everything from your visuals, to messaging tone, need to be consistent throughout every aspect of your company. Today’s competitive digital climate demands a strong first impression if you want to stand out.